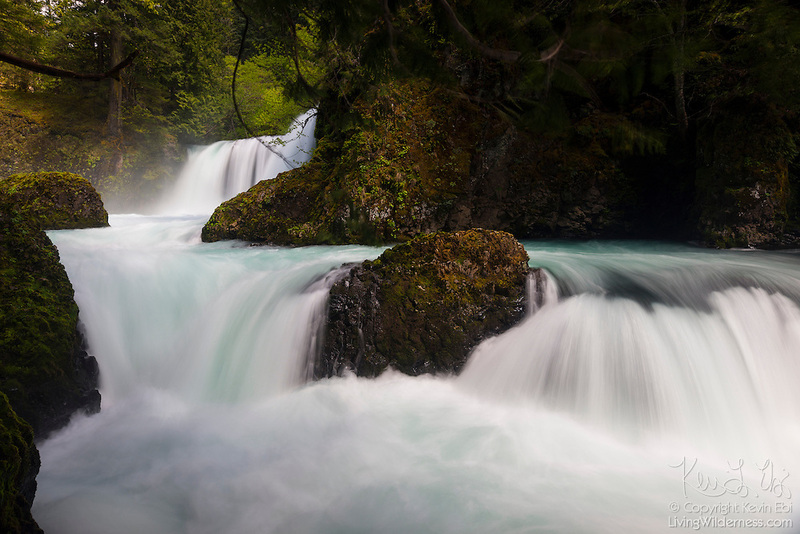 The Little White Salmon River plunges in several dramatic tiers at Spirit Falls in Skamania County, Washington. Both tiers are popular with adventurous kayakers. The top tier plunges 35 feet (10 meters). The Little White Salmon River is a tributary of the Columbia River.